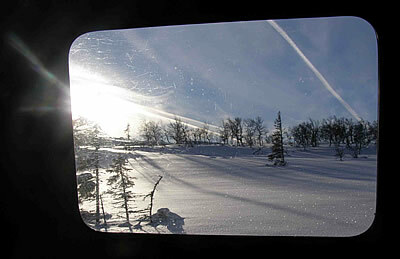 The work with the film took us far up to the north of Sweden, to the mountain areas. Here we encountered a land earlier unknown to us. Dramatical light phenomenas and radical changes of seasons and a people with a different perception of time, concerned with the well-being of coming generations instead of quick profits and explotation of nature. Filming in the distant mountain area required a lot from the team, working with very small resources in a harsch climate, with temperatures that could go down to minus 35 degrees Celsius. A strong motivation has been to expose some of the hidden aspects of the nuclear industry.